I am so super fortunate and blessed to have received a review copy of “Playing Card Oracles Divination Deck” by Ana Cortez and C.J. Freeman from U.S. Game Systems. 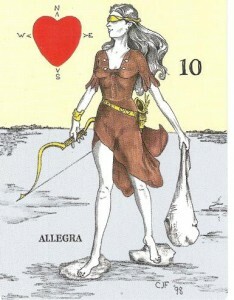 As the name implies we’re not dealing with a tarot deck here, this deck is a standard deck of playing cards. I should probably go ahead and talk about C.J. Freeman’s art first because when you get the deck it is undoubtedly the first thing you’re going to notice. This is certainly the most beautiful deck of playing cards I’ve ever handled. I honestly find myself at a loss for words as to how to describe them. 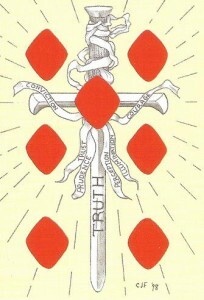 Freeman’s art draws me in and I find myself genuinely touched by the imagery of many of the cards. 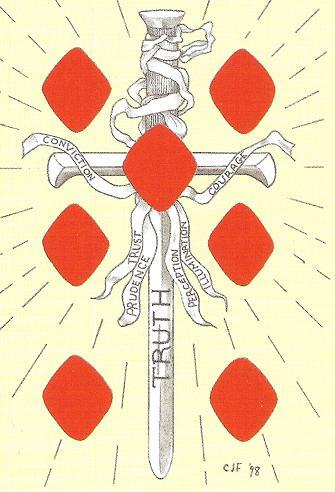 Although I have trouble articulating it, there is something in the symbolism that I find in some of the cards that seems to speak to me on some level, and obviously the beauty of many of the cards moves me. I find myself terribly sad that Freeman is referred to in the past tense on the bio card, since that means he is no longer with us. I felt real sorrow to discover his magical work and lose him at the same time. Let’s take a look at the magical art of C.J. Freeman. With such rich artwork it could be easy to overlook the work of author Ana Cortez, but that would be a huge mistake. For as fantastical of a world Freeman created with the art on the playing cards, Cortez has woven an equally grand fascinating tale for the cards to tell. 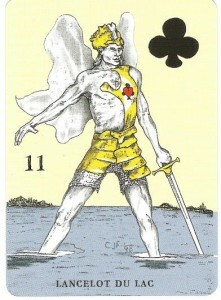 The suits each represent an element and have key concepts, the court cards represent people who play out events revealed by the pips (cards ace through nine), and each individual card has its own meaning. I wouldn’t call it easy or intuitive, but I would call it intriguing and beguiling. The companion booklet also includes a few different spreads to try with the cards. With the deck came a card explaining that Ana Cortez has also written a full length source book called “The Playing Card Oracles” that serves as an excellent companion to the deck, and is illustrated by C.J. Freeman. That bad boy is already added to my Amazon.com Wish List. I just realized how I can kind of explain my experience with Cortez and Freeman’s “Playing Card Oracles Divination Deck”. 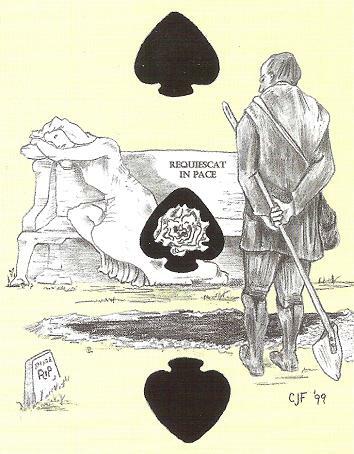 Remember the very first time you opened up your first deck of Rider-Waite Tarot Cards and thumbed through them? That feeling of glimpsing something truly mystical and unknown? That sudden feeling of boundless potential? That’s what I felt when I first open and sorted through the “Playing Card Oracles Divination Deck”. There is real magic in those cards, for those who take the time to learn to use them.